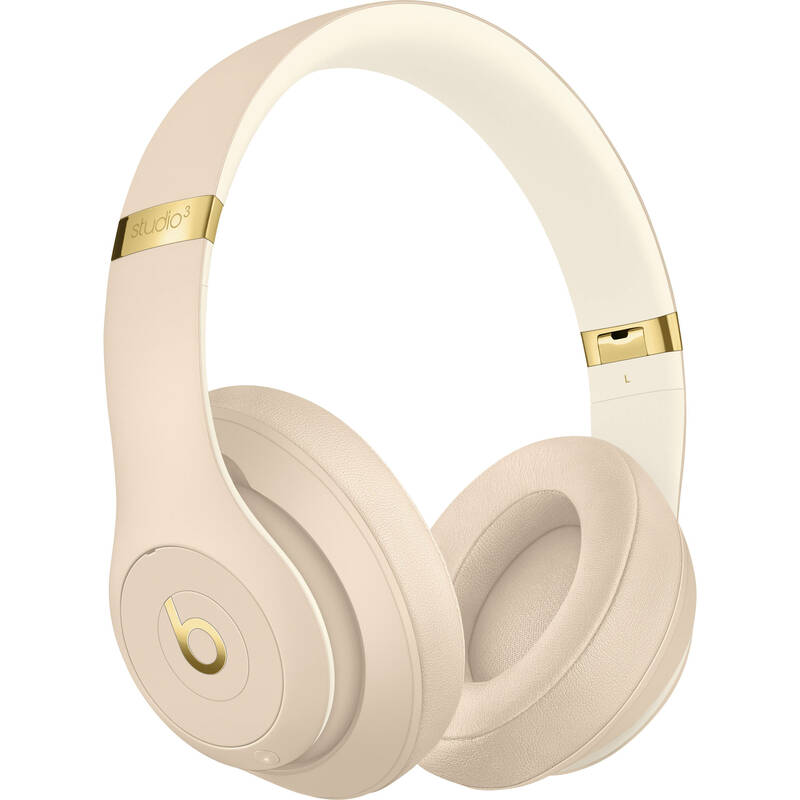 Put the world on hold with a pair of Beats by Dr. Dre Studio3 Wireless Bluetooth Headphones in desert sand. These over-ear headphones feature Pure Adaptive Noise Canceling for active noise blocking with real-time audio calibration based on fit. They connect to your device via Bluetooth and use the W1 chip to seamlessly pair with compatible devices. The lithium-ion battery provides up to 22 hours of use with Pure ANC turned on, or up to 40 hours without Pure ANC. An LED array shows battery life, and Fast Fuel provides up to three hours of playback time from a ten-minute charge. The included 3.5mm RemoteTalk cable with in-line controls can be used for a wired connection when you're out of juice. A carrying case and micro-USB charging cable are included as well. Box Dimensions (LxWxH) 9.0 x 6.56 x 4.7"
Studio3 Wireless Bluetooth Headphones (Desert Sand / Skyline Collection) is rated 1.0 out of 5 by 1. Rated 1 out of 5 by Zhenya from I get a headphone which the head extantion is not strong I decide to buy from BNH due to no tax.the sound is great but I am very disappointed as my headphones have a side effect! The right part of the headphone extantion cannot lock and keep on opening and extending so I don’t like that and feel I get a refurbished /used headphone,instead of new one and I did pay for new. Not happy with that!